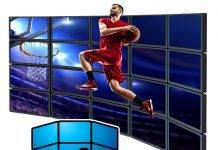 Today’s large-scale sporting events, as well as their technical broadcast requirements, are growing at an astounding pace. To meet and surpass these requirements, Riedel Communications has initiated their Managed Sports Services division, comprised of custom-engineered technologies paired with extensive supervision and support by Riedel-qualified engineers. 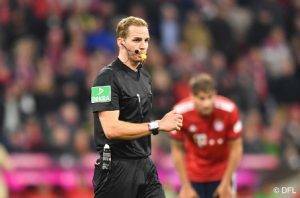 Among the first to profit from these services is DFL Deutsche Fußball Liga, who has partnered with Riedel to design a reliable infrastructure for German Bundesliga referee communications. For this joint effort, DFL experts and Riedel’s team of engineers and product managers took on the task of designing a smaller version of the Bolero system that offered unlimited freedom of movement on the pitch while still preserving key characteristics such as multiple channels, high voice clarity, and unsurpassed RF reliability. Early on, it was decided that voice activated transmission (VOX) would offer the hands-free convenience to make the project successful. The result is a VOX-operated hands-free Bolero beltpack and lightweight headset combination that allows Bundesliga referees, assistants, and Video Assistant Referees (VAR) to communicate effortlessly via a real-time connection to Riedel’s brand-new Remote Operations Center (ROC) in Wuppertal. A year of intense collaboration bore fruit just in time for the start of the 2018/2019 season when the Bolero S passed its trial run during the 2018 DFL-Supercup, exceeding all expectations with its compact size, light weight, and simple operation. 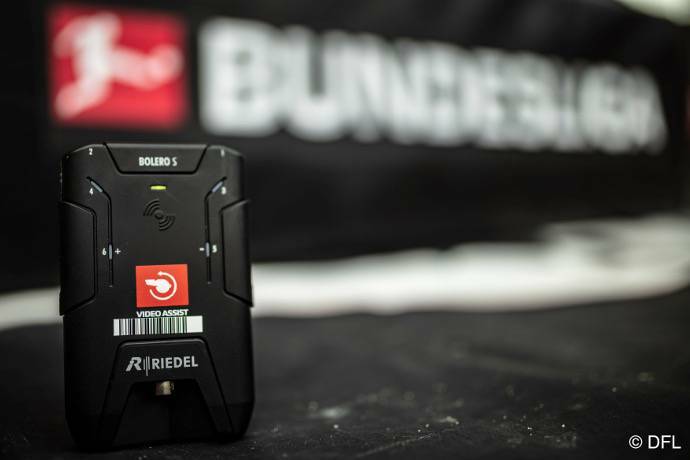 Riedel Managed Sports Services and Bolero S will provide reliable referee communications for all 306 Bundesliga matches this season. 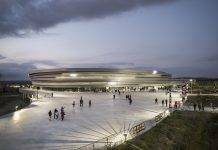 In each of the 18 Bundesliga stadiums, three Bolero antennas provide full coverage on and beside the pitch, inside the referee locker rooms, and in the players’ tunnels. Their signals converge into a Riedel Artist 32 intercom matrix which then connects to the VAC in Cologne and to the ROC in Wuppertal via WAN VoIP. In the ROC, engineers monitor every single system component and respond to changing circumstances on the pitch in real time. 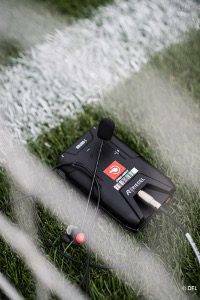 By controlling parameters like gate, release time, and limiter thresholds, every VOX-microphone can be individually calibrated for each referee and then fine-tuned to the conditions in the stadium in real time. With Riedel’s specialists overseeing the beltpack battery charge and system integrity, the referees can now fully concentrate on guiding and directing fair matches.